Have you ever wondered, “How much is my house worth?” If you’re trying to decide whether or not to put your home on the market, a property valuation is an easy way to find out what you could expect to receive for it. With years of experience in the Watford property market, the team at Dey, King & Haria will give you an accurate figure you can expect to use should you decide to put your home up for sale. Even if you aren’t putting your home up for sale just yet, a professional house valuation will highlight areas you can improve for a better asking price. We’ll give you any tips and advice you want about increasing the value of your property, and can even put you in touch with our trusted service partners, so you know you’ll receive a high quality service when you do make home improvements. 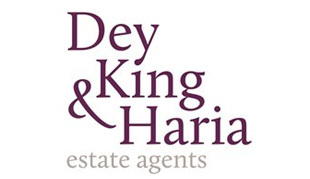 Here at Dey, King & Haria, we’re passionate about helping you sell your property and find your new dream home. This passion and dedication, as well as our experience and knowledge of the Watford property market put us in a unique position to give you an honest valuation you can rely on. When you choose Dey, King & Haria, you can rest assured we won’t give you an unrealistic figure for our benefit. We pride ourselves on our hard work, honesty and transparency, and when you have a property valuation from us, you can be confident that we’re on your side every step of the way. For more information about our property valuations in Watford and the surrounding areas, simply give us a call on 01923 831 020 today.